Canada stands alone today in risking a debt-fuelled financial crisis. 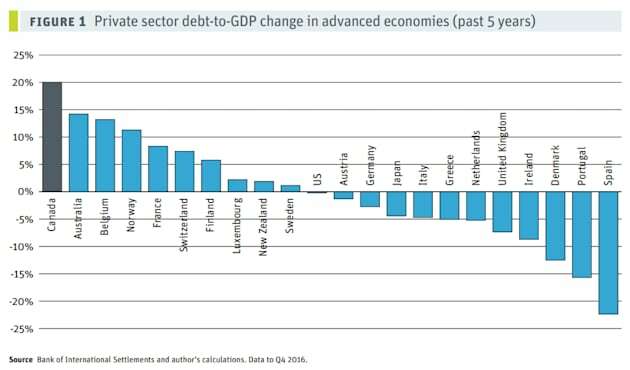 Here's a distinction the Great White North could do without: For the first time ever, Canada is taking on new private-sector debt faster than any other developed country. 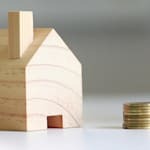 In fact, the country stands alone in facing a possible financial crisis due to the vulnerability of its borrowers, says a new report from the Canadian Centre for Policy Alternatives (CCPA). Private sector debt is essentially the debt of businesses and consumers, excluding government and financial sector debt. It has grown by $1 trillion in Canada since 2011, according to CCPA economist David Macdonald. Of that, $315 billion was added to household debt, a majority of it mortgage debt. Corporate borrowing accounted for the rest of the debt growth. 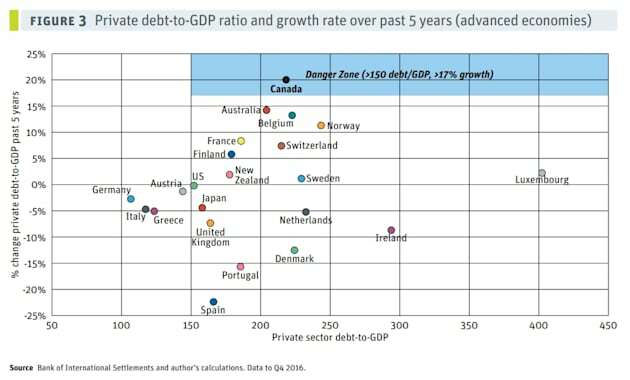 For the first time, Canada is seeing its private debt grow faster than any of 22 other developed countries surveyed. The closest it ever came before, Macdonald notes, was in the early 1990s when Canadian debt was growing at the third-fastest rate in the world. That was just before Canada's house prices fell and stagnated for a decade, the report noted. "If the rate of growth of our private debt slows even a small amount, it will immediately have outsized impacts on our economy and asset markets," the report states. "Canada is presently the only advanced economy running such a risk." The CCPA is not the only body that pegs Canada at a high risk of a debt crisis. The Bank for International Settlements (BIS), a sort of "central bank of central banks," issued a similar warning about Canada earlier this year. The BIS looked at both developed and less-developed economies, and found Canada has the second-highest chance of a financial crisis, after China. While much has been made of Canada's rising mortgage debt, less attention has been paid to the rapidly growing mountain of corporate debt, Macdonald argued in the CCPA report. "This huge buildup in corporate debt was almost entirely spent on real estate or mergers and acquisitions. ... Little of this corporate debt binge was spent making Canada more productive, but was more akin to speculation." Macdonald says weaning Canada off its debt addiction should be "our primary public policy concern." He suggests stronger measures to cool the housing market than the ones that have already been implemented. Calling the foreign-buyers' taxes in Toronto and Vancouver "steps in the right direction," Macdonald is calling on governments to implement a 20-per-cent "speculation tax" on homes sold within a year of their last purchase. 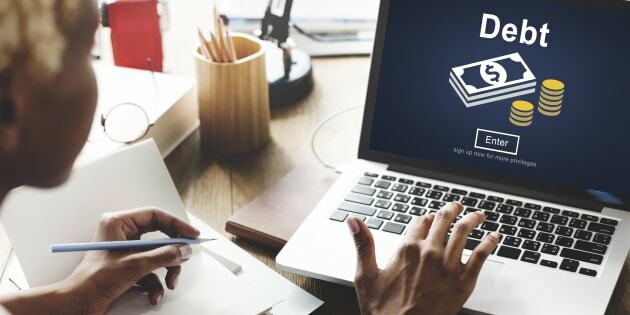 "Using corporate debt for speculative purposes, particularly on mergers and commercial real estate, remains little examined and methods to rein it in deserve further study," the report added.